Turns out that the man who jumped a White House fence armed with a knife and hatchet, and who was initially reported to have made it to the front door, actually made it as far as the White House’s East Room. 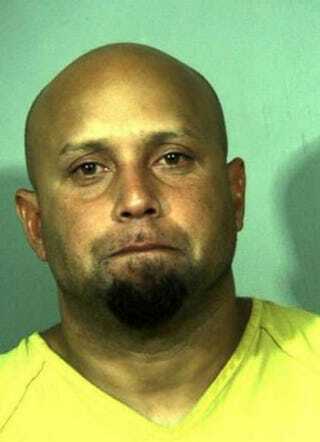 According to NBC News, on Sept. 19 Omar J. Gonzalez hopped a fence, sprinted across the White House lawn and overpowered a guard stationed at the front door. Gonzalez then reportedly made it just inside the North Portico doors and then into the East Room before guards tackled the 42-year-old. A U.S. official confirmed the details of NBC News' report, and the newest developments raise questions about how the Secret Service allowed Gonzalez to breach White House security. NBC News notes that ammunition was found in Gonzalez's car. According to NBC News, there were several missteps that allowed Gonzalez to penetrate the White House grounds. First, guards are instructed to secure the White House when they are notified of an intruder, and the guard at the front door was not notified in a timely fashion. Second, an "alarm box near the entrance had been muted at the request of White House building staff." The Secret Service has acknowledged that the location of the arrest was unacceptable and notes that it is looking into exactly what happened. "The president has full confidence in the Secret Service and is grateful to the men and women who day in and day out protect himself, his family and the White House," the White House said in a statement after the breach, NBC News reports.